Please come along and hear what our prospective councillors have to say about the vital local issues facing our area in the next four years. Each of the parties will make a brief opening statement, followed by questions from the floor. These are free events supported by the Charlton Society and St Thomas Church. All welcome. 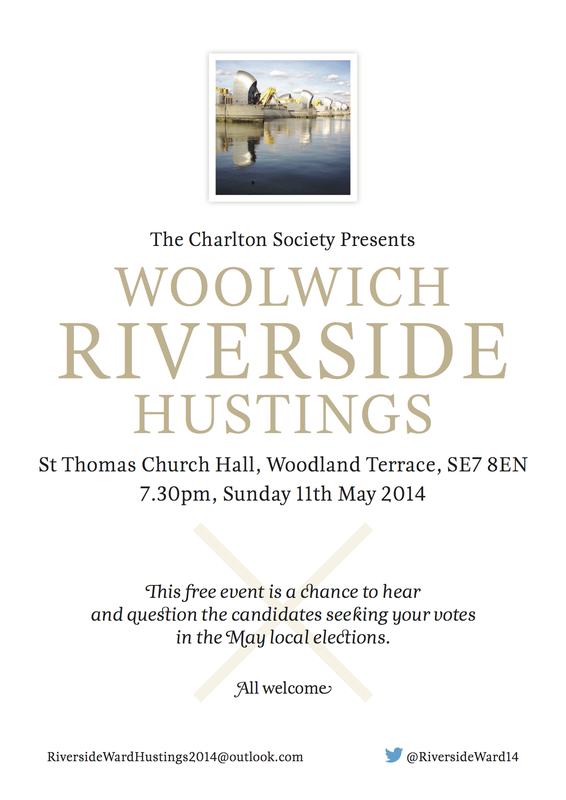 Woolwich Riverside Ward Hustings – 7:30pm to 9pm on Sunday 11th May 2014 at St Thomas Church Hall, Woodland Terrace, SE7. 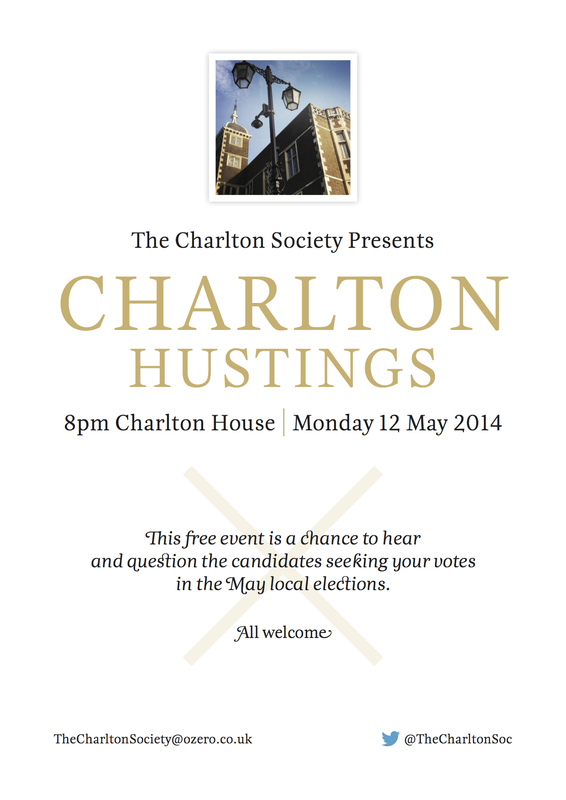 Next Article Hustings round-up – and how was it for you? What a great move by the Charlton Society. Thanks to those concerned.